ACTIVISM. On Saturday 17 March Activist Group 204 were out again to meet the public. 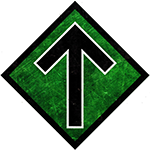 This time it was the turn of Mariestad, in western Sweden, where the sun was shining in honour of the Resistance men. We gathered around lunchtime and made our way to the Systembolaget store, which is next to the Left Party’s premises. There were no Left Party members to be seen, however, and the mood was good. Just over an hour later, a police car arrived, but as everything was in order, the officers stood a little way off and let our activists exercise their constitutional rights in peace. A journalist from the local Mariestad newspaper also stopped by and tried to ask some questions. 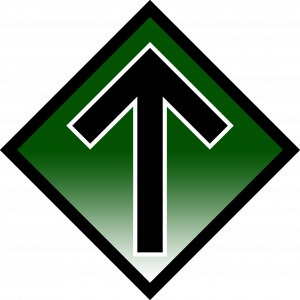 At first we didn’t answer, but then group leader Erik Wuttudal offered him a few well-chosen words in defence of the Nordic Resistance Movement’s views on National Socialism. The sunny weather did its bit in getting a good number of people out onto the streets, and the leaflets were very popular with passers-by. 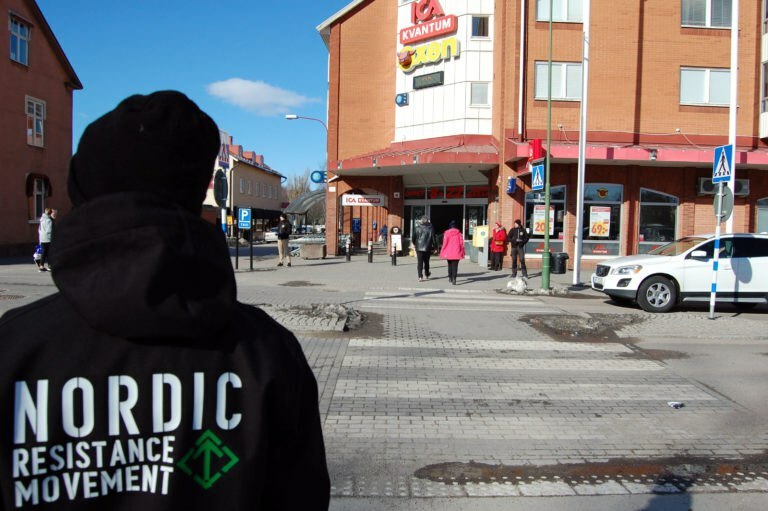 A few took the opportunity to stop and discuss the Nordic Resistance Movement’s politics, while others were happy to take a leaflet to read later. 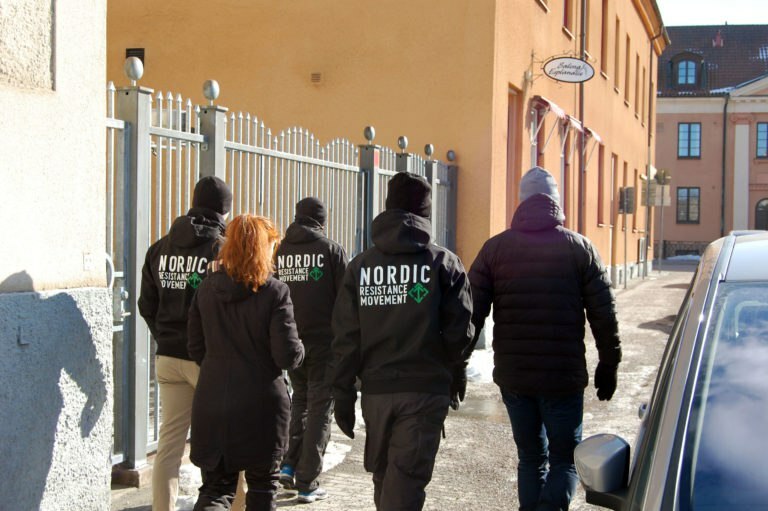 A lot of people were very positive about the activists’ presence and said they followed the organisation on nordfront.se. They were asked to send in membership applications, which they said they would. We exchanged contact information and will reconnect again in the near future. After a couple of hours the group moved on to the Ica Oxen market, where we continued to spread our message to the public. At one point a man came over to our activists on the pavement and demanded that we leave their “private grounds”, although he wouldn’t say who he represented. After informing him that it was a public place, the man threatened to phone the police, which we said he was welcome to do. Unfortunately for him, no police responded to his command. We finished the leafleting a little while after. It was a very productive day, and we will definitely be coming back.